January 23, 2019 – Overhead Door™ Brand, one of the leading brands of garage doors and openers for residential, commercial and industrial applications, has integrated OHD Anywhere® technology into Destiny® 1200 Model 8130H and Destiny® 1500 Model 8160H garage door openers, allowing homeowners to monitor and operate their garage doors remotely in a matter of minutes. “By adding OHD Anywhere® to our Destiny® garage door openers, there are no additional parts or assembly required, making for an easy set up. Homeowners will be able to control garage doors almost instantly using their smartphone device,” said Christian Morrow, Overhead Door™ Brand Manager at Overhead Door Corporation. Overhead Door™ Brand’s OHD Anywhere® advanced technology allows homeowners to personalize their settings, including automatically closing the garage door at a specific time each day. Additionally, up to 20 people can use an individual OHD Anywhere® system, which alerts users to changes in the door’s position or enables users to open the garage for family, friends or service providers even if no one is at home. 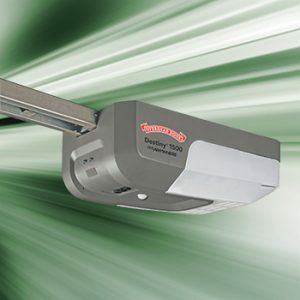 Destiny® garage door openers are equipped with the brand’s most powerful 140V DC residential motor to lift almost any garage door quickly and effortlessly. Destiny® 1500 Model 8160H features a direct screw drive system that helps protect gears from wear and tear. Destiny® 1200 Model 8130H features a belt or chain drive which operates the garage door both smoothly and quietly.